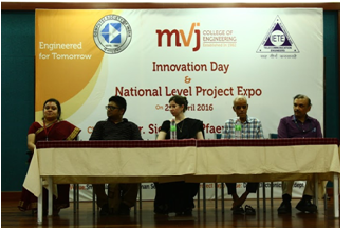 With the tagline “A Summit of Innovation and Technology” MVJ College of Engineering organized the 6th national level technical fest VerTechX 6.0 on 18th and 19th of March 2016. The aim of the fest was to provide a platform for budding engineers from all over the country to showcase their technical flair .With 12 departments encompassing myriad fields of technology and management, this tech carnival offered two days of thorough indulgence to the technically inclined. Wide variety of events at a higher level was conducted to exploit and show case the technical abilities and skills of the students from different parts of the country. This fest also gave opportunity to the students to bag a large prize money worth of Rs.3 Lakhs. 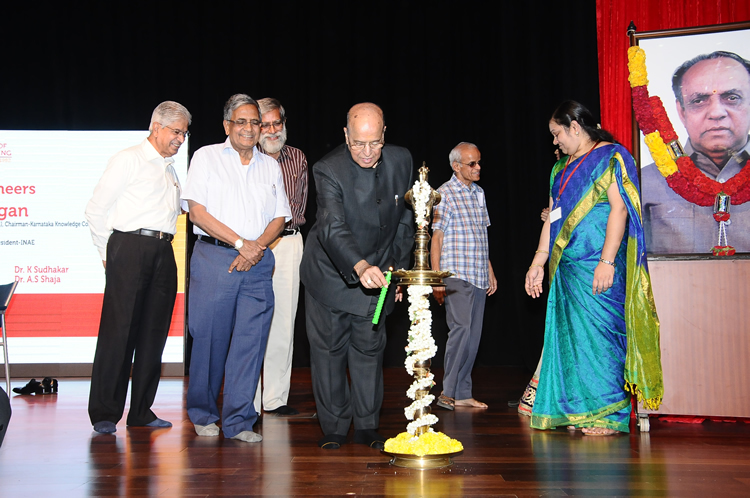 VerTechX 6.0 was inaugurated by the honorable chief guest, Mr. Sumant Pathak, Ex-Aerospace Engineer, HAL, Bangalore. 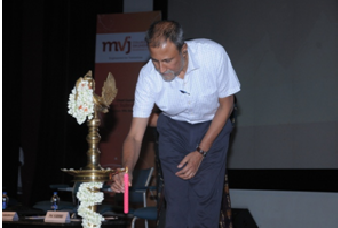 Delivering the inaugural address, he, profusely appreciated the management and students, for their efforts in organizing this spectacular technical fest. To all Science Fiction aficionados JARVIS brings to mind the super intelligent being in Marvel Comics. The Department of Aeronautical Engineering of MVJCE has very appropriately used this acronym for a coveted event hosted by them. Just a rather very intelligent system (J.A.R.V.I.S) is a radio controlled aircraft plane with ability to deliver the payload which makes the students to think of the advancements in aviation technology. It was a visual treat to the eyes of viewers to watch the RC planes fly, performing all the maneuvers such as roll, inside loop, hammer head and inverted flight etc. 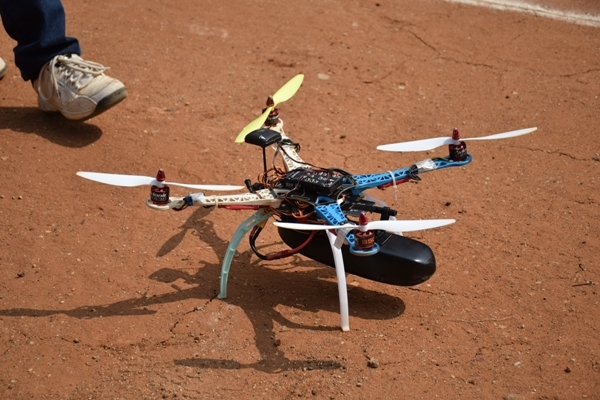 The air show was also performed by ASTRA club of Aeronautical Engineering department using quadcopter, UAV. J.A.R.V.I.S was one of the unique events held for the very first time with the task of dropping the payload at the given target. It had 10 teams encompassing 4 members in a team. Mr.Sumant Pathak, Ex-Aerospace, HAL, Bangalore was the judge of the competition. Dance which has the ability to satisfy everyone’s visual, musical and emotional feeling was performed by our talented students. A variety of dance performances were displayed that ranged from classical, semi classical to bollywood. 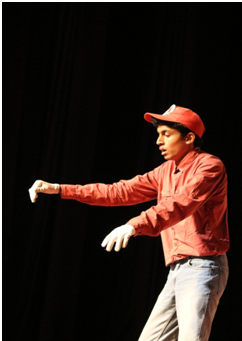 The audiences were completely spellbound by the dance performances. Results:- Winners: Suraj S – Christ University Runners – up: Prashant – MSIT. 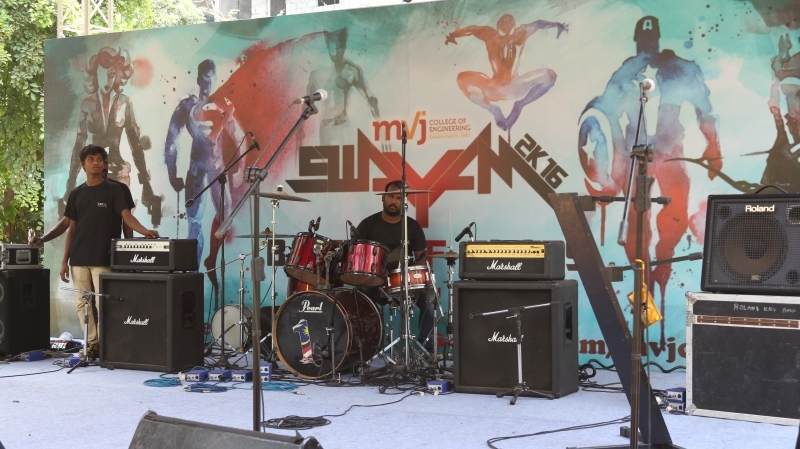 This is an event which draws the attention of the present youth who head bang and jump to the enthralling music created by the bands. It was a tough competition with all the teams participating with their strings and the drums beating for more than half an hour of performance on the stage. The judges had a tough time to make a decision. Results:- Winners: Team Space is all we have from NASA Institute Runners – up: We’ll decide on Wed from Sir MVIT. “A picture can convey innumerable thoughts in an effective way”. Have a camera? An eye to look at things from a broader perspective? Then this is the event exclusively for those talented people. The participants were given the theme on the spot and under a time schedule were expected to portray detailed, impressive and clarified pictures. There were many beautiful work of photography, but only the best made it to the end. Results:- Winners: David – New Horizon College of Engineering Runners – up: Sharath Chandra B. 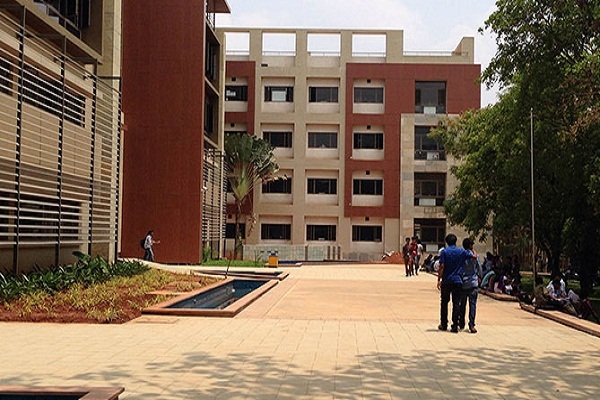 S –Sea College of Engineering. This multiplayer event was basically for gaming geeks. The event consists of teams called the counters and the terrorists, where the gaming skills along with the eye and hand coordination of the participant are tested. Results:- Winners: Arvind and team – Indian Academy Runners – up: Chandan M.S and team – MVJCE. Dance in most gracious way of expressing and conveying the thoughts and ideas across to the crowd. This was very successfully achieved by all the teams who participated in this event and many genres were experimented by them. As the event concluded everyone was left mesmerized. Amidst the stiff competition only the best team won. Results:- Winners: Team Aayana from Christ University Runners –up:Team Aahan from REVA Institute of Technology. This event is for students who make short films based on social truth; the film should convey a strong message. The judges look for creativity and the way movie has been presented. Results:- Winners: Satyogi and team from MVJCE. Runners –up:Kiran Kumar and team from RNSIT. Music connects our souls together; a good singer is the one whose voice touches our heart. This event saw a variety of music ranging from western, bollywood to classical singing .There were beautiful performances given by the students and audience completely enjoyed it. Results:- Winner: Avishek Mridha from MVJCE Runner –up:Harikrishan from MVJCE. This event is meant for the football loving students. Here the goalkeeper is not supposed to use hands and that was the challenging part of this event. This event went on for two days and the audience completely enjoyed it. The audience cheered for the teams and enjoyed the event. Results:- Winners: Team Malbaris, AMC Runners –up: David and team, New Horizon. This event was for the cricket lovers and as the cricket season is going on ,we had a lot of teams turning up for the event . Results:- Winners :Syed Afridi &team, MVJCE Runners : Abhishek Patil and team, MVJCE. Shaastra – 2016, Vaayu Shakti is a Wind Turbine design competition held at IIT Madras on 24.01.2016. With the new ‘Make In India’ initiative, the challenge of providing clean and sustainable energy to Industries and rural India becomes multi-fold. The theme of the competition is to design and construct a small wind-riven power system (wind turbine) which will fulfill the basic power needs of a home. This competition focuses on technical aspects of wind turbine. 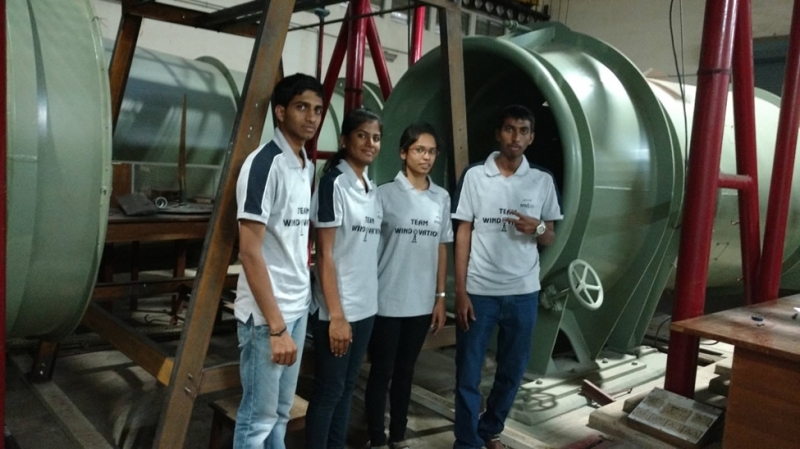 The final year Electrical students Ravindra Kumar D, Julia George, Manu G S & Pooja D Hegde of MVJCE, Bangalore, designed a working model of wind mill which can generate voltage of 12 V with a wind speed of 7m/sec. They have designed it using aluminum blades with a diameter of 1.04m and a PMDC motor of 50W, 600rpm. It has a capability to withstand up to a wind speed of 15m/sec. Our students secured second place in the competition among all the participants from reputed institutions all over India. MVJ College of engineering has organised the 6th national level technical fest Vertechx 6.0 on 18th and 19th of March 2016. Vertechx is a technical fest of MVJCE with the tagline “A Summit Of Innovation And Technology’. The aim of the fest was to provide a platform for budding engineers from all over the country to showcase their technical flair .With 12 departments encompassing myriad fields of technology and management, this tech carnival offered two days of thorough indulgence to the technically inclined. Wide variety of events at a higher level was conducted to exploit and show case the technical abilities and skills of the students around the nation. This fest also gave opportunity to the students to bag a large prize money worth of Rs.3Lakhs. MVJ College of Engineering organized a three day intensive workshop on “Tomorrow’s Engineer” from 11-13 March 2016. 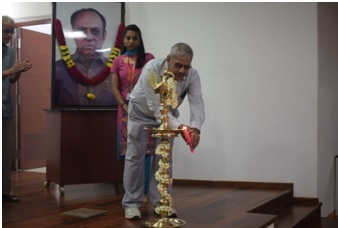 The workshop was inaugurated by Honourable Chief guest Dr. Krishaswamy Kasturirangan, an Indian space scientist who headed Indian space research organization (ISRO) from 1994 to 2003. He is a recipient of the three major civilian awards from the Government of India,the PadmaShri (1982), Padma Bhushan (1992) and Padma Vibhushan (2000). 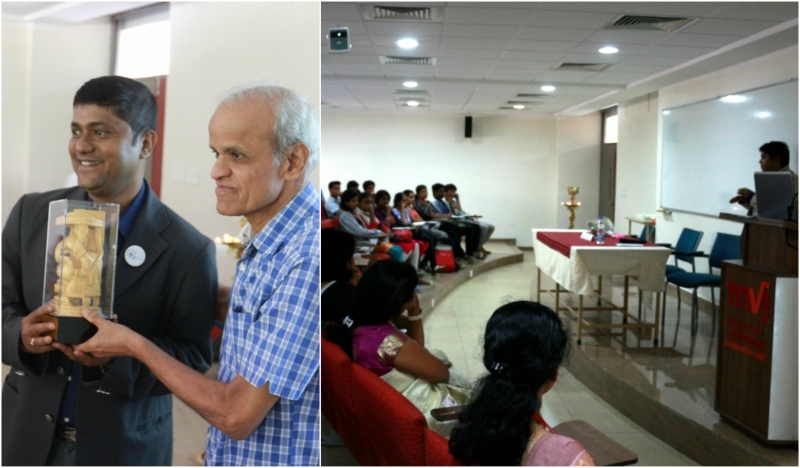 INTERACTIVE SESSION WITH DR .KASTURIRANGAN The inaugural function of the three day workshop ‘Tomorrow’s Engineer” was followed by an interactive session with the Chief Guest Dr. K. Kasturirangan. In his session he briefed about the first Satellite launched by India- Aryabhata and how the government worked tirelessly with the experts of ISRO to make that dream a reality. Dr. Kasturirangan then went on to share his experiences while working with a number of Prime Ministers of India like Atal Bihari Vajpayee, P.V Narsimharao and I.K Gujral and let us in on a secret that it was in fact, Atal Bihari Vajpayee who was instrumental in changing the name of Chandrayana to Chandrayana-1. He then shifted our attention to the present scenario of satellites that ISRO is developing. These satellites are at par with any US and European made satellites and are capable of sensing the radiations coming from the Van Allen Radiation Belt surrounding the earth. He concluded with a very humble note saying that he is not unique but in fact, he is like any one of us. Each of us has the capability and potential to venture into new horizons. 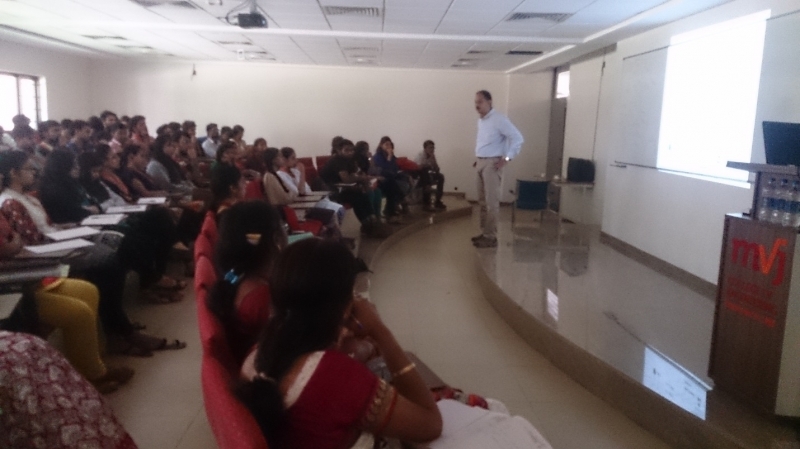 The Chemical Engineering department of MVJ College of Engineering successfully organized an one day workshop on “Industrial perspective on Process Control and Optimisation” on 20/2/2016 at the Seminar hall 5 in the college campus. The workshop was very educative and informative to the students as well as for the faculties. The workshop was led by Mr.Sanjay Venugopal, Yokogawa India Ltd, Japan from Institute of Process and Control Engineers, Bangalore Chapter. Mr.Sanjay Venugopal elaborately explained the industrial aspects with the support of live videos and examples. This was followed by a highly interactive session with the students. The second half of the session was hands on experience with a session on computer with the application software and simulations. This session provided practical exposure to all the students. The work shop received excellent feedback from the students and the faculty members. We Celebrated Founders Day on Sunday, May 17, 2015. Founder’s Day commemorates the birth anniversary of Dr. M.V Jayaraman (1928-1993) the founder of the MVJ group of Institutions. The management, students and staff dedicate this day by celebrating their excellence in academics, research and sports activities. 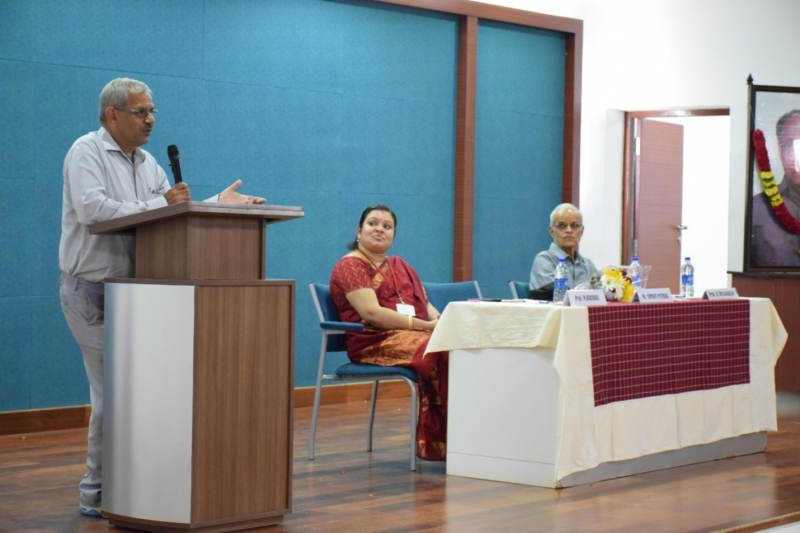 Celebration was inaugurated by R.V Deshpande, Minister for Higher Education and Tourism Department. As a part of the Celebrations, students were recognised for their excellence in academics, sports and cultural activities. A cash prize of Rs. 1 lakh each was given to the first fifteen VTU Under Graduate rank holders and Rs. 50,000 each for the Post Graduate students. The scholarships provided are not restricted or limited to ourcollege alone but, open to any course or any University in any part of the Country the student chooses to pursue his / her Education. The occasion also saw dedicated faculty who made significant contributions to the students and college being recognised and felicitated too. 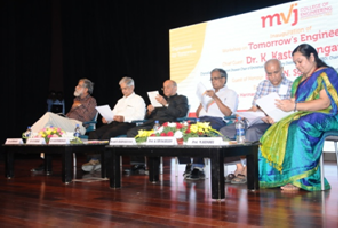 Speaking on the occasion, M. J. Balachandar, Chairman of MVJCE said, “Our Mission is to provide world-class education in our chosen fields and prepare people of character, calibre and vision to build the future world. 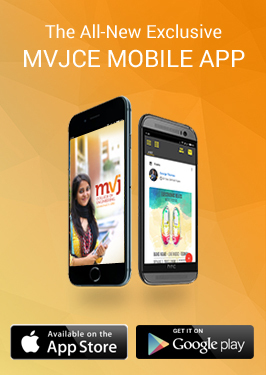 Founder’s day promotes access to educational opportunities leading to career success for the students and it has been a long standing traditions of MVJ College in the observance of honouring the benefactors of the institution”.